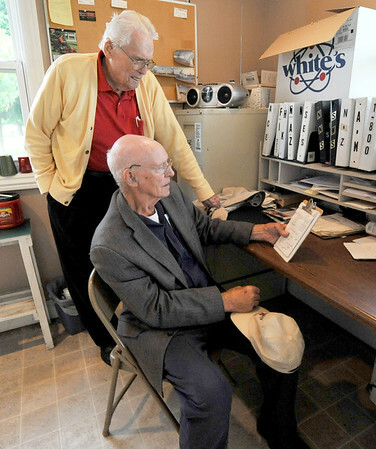 From the left: Carl Junction Cemetery board members Bob Miller and Art Maddox look over paperwork on Friday at the cemetery. Although he is no longer caretaker for the cemetery, Maddox still lends a hand helping with upkeep of the cemetery and Miller serves as the board's president. The cemetery is operated solely through private donations.